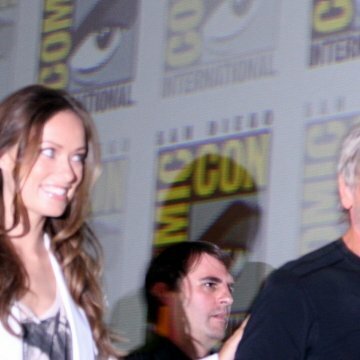 Harrison Ford wanted to go bareheaded in the film and not wear a hat (he is most famous for his performance in Steven Spielberg's Indiana Jones films, where Jones wore a fedora), but since it was a Western film he was convinced to wear a hat. In American Graffiti , Harrison Ford was asked to cut his hair (to go bareheaded with a period haircut) for the film. He refused, stating that his role was too short, and offered to wear a hat instead. Anachronisms: Bronc (the Mexican in the gang) proposes to travel to Puerto Vallarta. At the time of the movie (1873) there was no Puerto Vallarta. The town received that name in 1918. 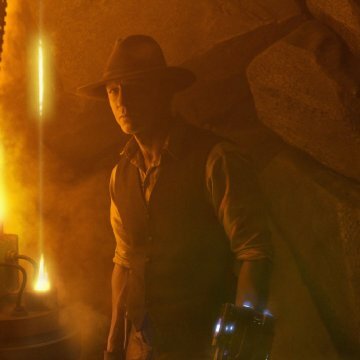 The answer to the obvious question hovering around Jon Favreau's latest action blockbuster is yes, "Cowboys & Aliens" is as ridiculous as the title sounds. 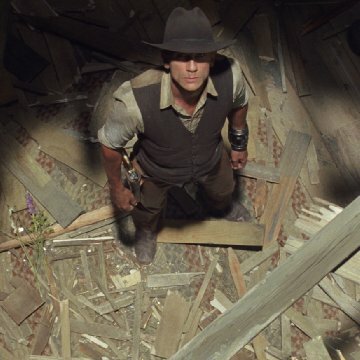 Yet blame doesn't quite belong on Favreau's shoulders or that of star Daniel Craig or the rest of the cast; rather, the failure of this alien-infested Western results from the domino effect of the countless studios and producers who put their faith (and money) in a concept rather than a story. To be fair, I know nothing of the Platinum Studios comic by Scott Mitchell Rosenberg, but it couldn't have been all that good if all the hottest screenwriters in Hollywood couldn't whip together a plot worth a damn. The duos behind "Iron Man" and "Star Trek" along with "Lost" writer Damon Lindelof all took cracks at the screenplay and an earlier treatment from another pair of "it" writers who wrote next month's "Conan the Barbarian" was discarded. 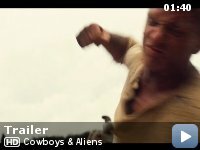 Frankly, criticism of "Cowboys & Aliens" all stems from a story with lackluster characters equipped with cliché motivations. Despite some cool aliens, the action doesn't offer anything unique enough to counter that we've no reason to care. Craig stars as Jake Lonergan, a stoic outlaw in Arizona sometime in the late 19th Century who wakes up with no memory and some metal device on his wrist. When he arrives in the town of Absolution, the sheriff discovers he's wanted and attempts to ship him off for a reward. That's when the aliens attack, bombing the town and roping up locals before flying off into the night. 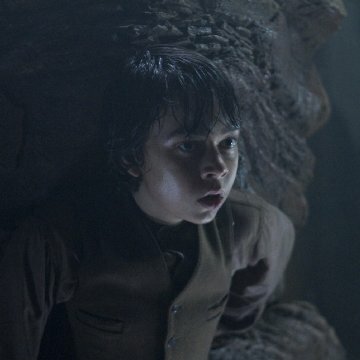 Lonergan's bracelet activates as a weapon and suddenly he's the only one capable of defeating these things. He joins a rescue party led by a grumpy Civil War vet named Dolarhyde (Harrison Ford) and they all set off to find out what happened to their loved ones. The script introduces characters willy-nilly and provides little satisfactory explanation for anything that happens. The story paints Lonergan as a quiet badass, but one who has flashes of some woman he loved. Because his past slowly unravels with nothing revelatory to show for it as the film wears on, it's tough to care much or even see him as capable of romantic feelings. Regardless, a woman named Ella (Olivia Wilde) keeps approaching him with questions he doesn't have the answers to and she evolves into a love interest for nothing but the sake of it. Sam Rockwell has little to no bearing on the film other than serving an example of an otherwise peaceful man who will do whatever it takes to get his wife back. He's a waste in the role. As for Ford, he just gets on screen and acts grumpy and impatient. We've seen everyone on board do so much better. Did these folks not read the script? Probably not considering the number of drafts alone. 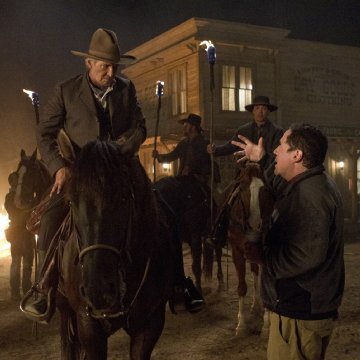 Worst of all, the script thinks we will care; after all, this is "Cowboys & Frickin' Aliens!" In the final sequence, suddenly all these supporting characters have little moments together out of seemingly thin air. What are supposed to be moments in the story tying up relationship subplots between characters end up as reminders that these relationships and subplots even existed in the first place. Consequently, the film's pivotal moments result not in hearts beating, but eyes rolling. In fairness, Favreau shows his adeptness from an action perspective once again in this film. The movie looks good if nothing else with strong visual effects and a strong concept team behind the aliens and related technology. The genre experiment generally works from a tonal perspective, an obstacle that certainly stood in Favreau's path. The film feels like a Western and one in which aliens could feasibly exist, so no problems due to identity crisis. Yet the film never provides a single reason to justify why it had to be a story about cowboys and aliens. In that sense, the movie results in nothing more than several studios and producers thinking we'd simply be interested in a fusion of a shoot-em-up Western with an alien invasion. All involved failed to ask the one critical question when making a film based on a concept: "is there a good story here?" No, there's not. Despite every ounce of you wanting to find a reason to care about what happens, none arrives. 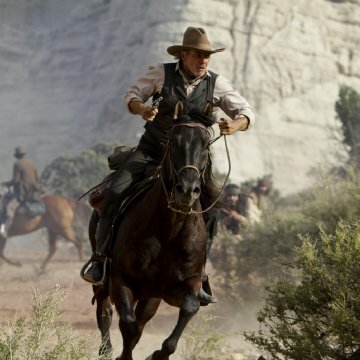 As such, "Cowboys & Aliens" offers watchable but lifeless entertainment.